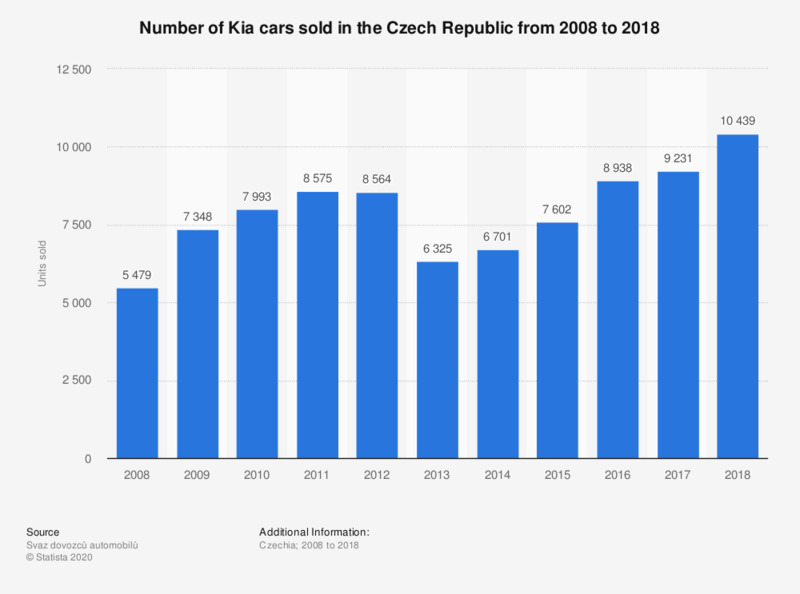 This statistic shows the number of cars sold by Kia in the Czech Republic from 2008 to 2017. Czech sales of Kia cars experienced continuous growth between 2008 and 2012 before sales declined by over 2,000 units between 2012 and 2013. Growth resumed after this dip and reached 7,602 units sold in the Czech Republic in 2015. From 2015 to 2017, sales further increased, leading to 9,231 sold cars in 2017.